As is the case with many homeopathic substances, Atropa belladonna, or “nightshade” has clinically proven medicinal uses, although the traditional use of its extracts may differ from its use in homeopathy. In its natural form, Belladonna is a toxin that acts on the central nervous system, causing vivid hallucinations and loss of coordination, balance, or muscle control. As such, one of its uses in homeopathy is in the treatment of uncontrollable convulsions, especially in young children. It may also be used as a supplementary, alternative medicine in the treatment of general disorders of the nervous system. The toxic effects of undiluted Belladonna also include increased circulation, contributing to a patient’s heightened sensitivity to light and changes in temperature. It is used in homeopathic medicine to treat various ailments that include as symptoms acute fever, inflammation, and chronic pain. The most common homeopathic dilution of Belladonna is 30C, which experienced homeopathy practitioners will recognize as the dilution that was generally recommended for most substances by Samuel Hahnemann, the originator of homeopathy. Two-decimeter tablets with this level of potency are available from hmedicine.com for $7.95. But a wide range of other potencies are also available for this and all other common homeopathic remedies. When treating ailments with the standard dilution, frequent dosage is recommended, especially in the case of acute symptoms. Some homeopaths may also recommend significantly scaling up the concentration of the tablets. Indeed, some homeopathy practitioners elect to start out with higher concentrations than Hahnemann’s recommended guidelines, believing that a modern understanding of the practice has shown this to be more effective. With that in mind, it is important to emphasize that all of the dosages of Belladonna sold through hmedicine.com are proven to be safe, as is true of all of the homeopathic substances we sell. Within the range of those options, it is up to you and your fellow homeopaths to determine what course of treatment is most effective, whether you are using Belladonna for gastrointestinal problems, menstrual pain, breast inflammation, hypertension, migraines, or any of the numerous other ailments with regard to which success has been reported through the years. And as always, if you have any questions about frequency and concentration of dosage or other potential courses of treatment for the same health problems, feel free to contact us. We will be happy to recommend additional products and resources. The cold weather is around the corner. We asked this question quite a bit. Which remedies should I purchase for the flu season? This question is individualized to a certain extent. However, there are certain homeopathic remedies for the flu that nearly everyone can take. The most popular homeopathic remedy for the flu is Oscillococcinum. This is actually the homeopathic remedy Anas babariae hepatis et cordis 200C. This remedy should be taken at the first sign of flu. It helps to shorten the duration of the flu by about 6 hours or so. Other popular homeopathic remedies during to take during the flu season include Nux Vomica, Byronia Alba, Pulsatilla and Belladonna. Nux Vomica is for the flu with a running nose, chills, aches and gastric issues such as diarrhea. Byronia Alba is for a slow setting flu with a painful dry cough. You feel flu like but you really do not have a full blown full like symptoms. Pulsatilla is for a stuffy nose with thick yellow discharge. You will generally feel worse at night. 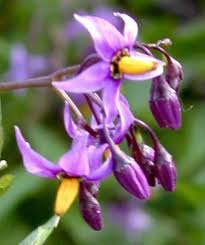 Belladonna is the used if you have a high fever and headache. 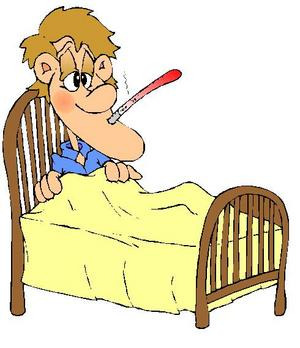 Cold air seems to worsen your condition. These are just some of the homeopathic remedies that one can take to combat the flu. Try to match your symptoms as close to the remedies as possible. 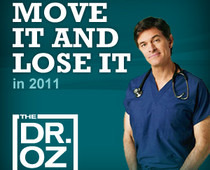 Dr Oz., a cardiothoracic surgeron, is a proponent of homeopathy. This surgeon specializes in the surgical treatment of chest where patients often have heart disease and lung disease. The doctor has been featured on the Oprah show. He also has his own tv show and radio show. He supports integrating conventional therapy and alternative types of medicine. Homeopathy is used by him and his whole family. Two of the drugs used by him and the family are arnica and oscillococcinum. 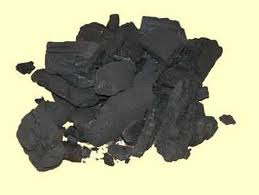 The first one is used to treat soreness of muscles. The second medicine is used to treat the flu. Arnica has not been shown to reduce soreness in any double blind placebo based trial. Oscillococcinum has been shown to reduce the flu by about 6 hours in large trials. More research on both of these medicines are needed. Dr. Oz has published articles that homeopathy may be used to treat certain conditions such as migraines. Dr. Oz also had done a segment on his show about homeopathy. Contary to popular belief, many doctors are not against homeopathy or alternative treatments. They believe alternative type treatments may be used with conventional treatments for a better patient outcome. In Europe, homeopathy is often used with conventional treatment to help patients have a better treatment outcome. The US is slowly coming around to alternative type of treatments. 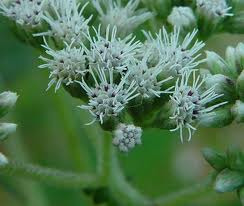 The homeopathic remedy Eupatorium Perfoliatum is made from the boneset plant. The fresh leaves and tops are used. The perennial herb boneset forms the basis of the homeopathic remedy eupatorium perforatum which is primarily used to treat fevers and flu as well as the symptoms associated with them. Boneset is a perennially growing plant indigenous to the eastern regions of the United States as well as Canada. It is found growing naturally from Nova Scotia to Florida and from Louisiana and Texas all over North Dakota. Boneset has a straight, fleshy and cylindrical shaped stem that is covered with fine hairs. The homeopathic remedy eupatorium perfoliatum is most beneficial for people who usually whimper with pain when they are ill and have a sensation that they are flowing out of their minds. Moreover, people who respond best to this medication are those who are prone to feeling nervous and restive and hope that they would still be able to be at rest. Such people may also have a feeling as if their bones are weak and not useable. In effect, the homeopathic remedy eupatorium perforatum is generally prescribed for people suffering from influenza or malarial fever that come together with aching limbs. Characteristically, the fever begins like coldness and subsequently it generates heat, perspiration as well as an intense thirst that is accompanied by soreness in the bones as well as intense restiveness. The other symptoms of this condition may include headaches that deteriorate when the patient is perspiring as well as vomiting of bile. In effect, all these conditions and associated symptoms may be treated by administering eupatorium perfoliatum. The homeopathic remedy Dulcamara is prepared with the freshly obtained green leaves and stems of the bittersweet or nightshade plant - a perennially growing vine. Subsequently, the green leaves and stems of bittersweet are chopped into fine pieces and macerated or marinated in alcohol for a period of time. The resultant solution is filtered and diluted to desired levels giving us the useful homeopathic remedy Dulcamara. As in the case of any other homeopathic medication, Dulcamara does not retain even the slightest trace or any toxicity of the bittersweet vine and is safe for human use. Dulcamara is highly effective in treating health conditions caused by exposure to chilly and humid weather conditions or abrupt changes in temperature or becoming chilly very soon following profuse sweating. It has been found that individuals who require the homeopathic remedy Dulcamara are generally dominating, possessive as well as very determined in nature. At the same time, such people are very susceptible of humid and cold weather, very sensitive to colds that may result in other diseases, for instance, a wheezy cough, cystitis, conjunctivitis or even diarrhea. Turning to Dulcamara not only helps to cure these ailments, but also alleviate the associated symptoms. The homeopathic remedy Dulcamara is very much comparable to other medications, such as capsicum, belladonna, stramonium and hyoscyamus. This homeopathic remedy is used to treat a number of health conditions such as jaundice, pneumonia, colds with thick yellow mucus, psoriasis, eczema, cramps, and lack of menstruation, asthma and phlegm. Dulcamara is effective in treating conditions associated with chills, colds, pneumonia, skin conditions and joint pains in people with dominating personalities. Drosera Rotundifolia is a carniverous plant that is found in bogs and marshes. 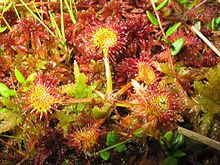 The plant feeds on insects and it is commonly called SunDew. It is widespread and can be found through Europe, Siberia, Japan, Korea, US and Canada. This plant was used by Asian physicians for skin eruptions and during the Middle Age it was used to treat the plague. When eaten by sheep, this plant causes a severe, spasmodic cough similar to that of whooping cough. This led to the homeopathic proving and its use as a cough remedy. Drosera Rotundifolia is usually prescribed to treat a deep, violent, spasmodic cough, especially whooping cough. Associated symptoms may include restlessness, anxiety, retching, vomiting, cold sweats, and nosebleeds. The cough is worse after midnight and, in the acute stages, ends in gagging, vomiting, nosebleeds, and cold sweating followed by talkativeness. There may also be a feeling that there is a feather or crumb in the larynx, which triggers coughing. The voice is often toneless, hoarse, and deep. There is some indication that Drosera Rotundifolia may be helpful in treating behavioral problems, particularly in children. Drosera Rotundifolia is best suited to children who are restless, anxious, peevish, and distrustful. Their emotions seem unbalanced, and they often have difficulty concentrating. They are fearful when alone and may be afraid of ghosts. Drosera Rotundifolia is a herb that can cure many ailments. However, it is primarily used homeopathically for violent cough similar to the effects of someone eating this type of plant.